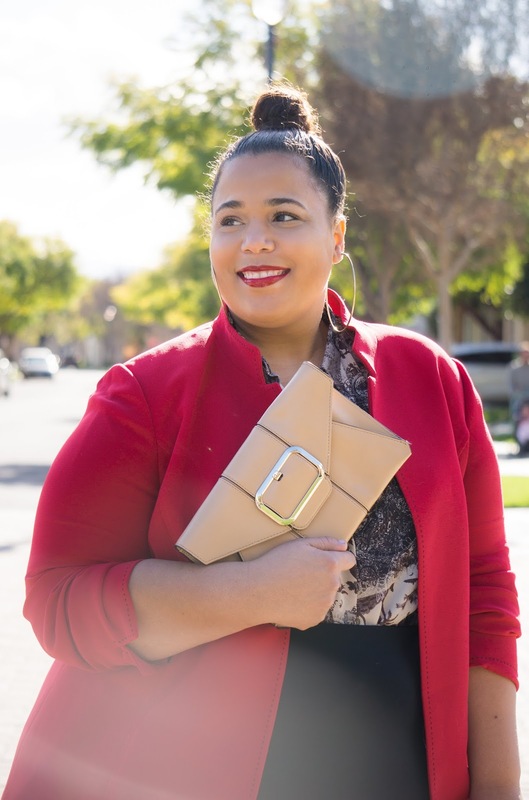 I get the question all the time, "How can I shop plus size clothing on a limited budget?" 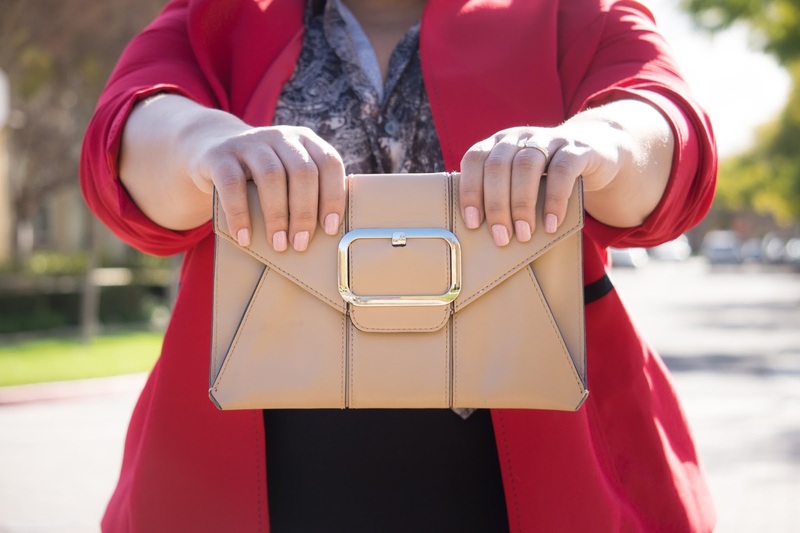 Second-hand shopping with thredUP is your answer. 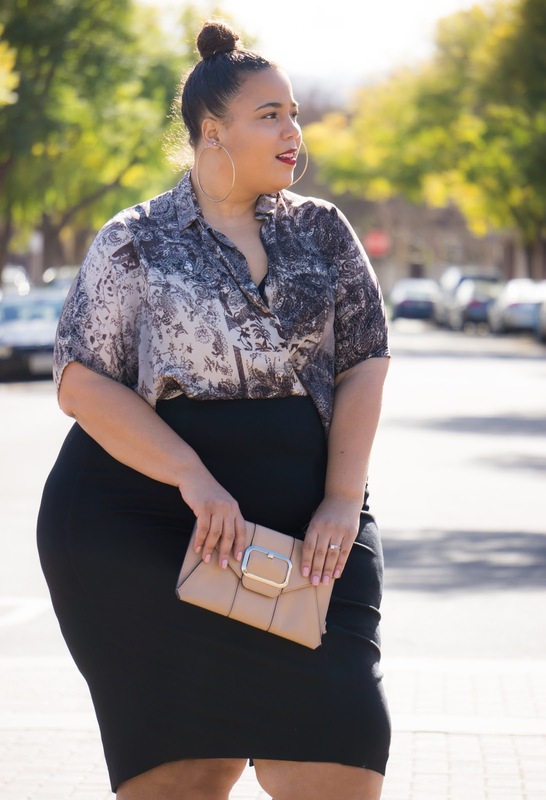 Obstacles to second-hand shopping in the plus size space usually include super slim pickings and hours of shopping to find only a couple of items. thredUP as taken all the work out of second-hand shopping. 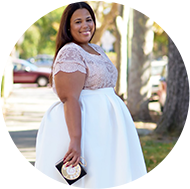 They have a plethora of clothing for sale and accessories like INC International Concepts, Talbots, and Lauren by Ralph Lauren for always to 90% off retail price on their site and in their plus size section....like loads! 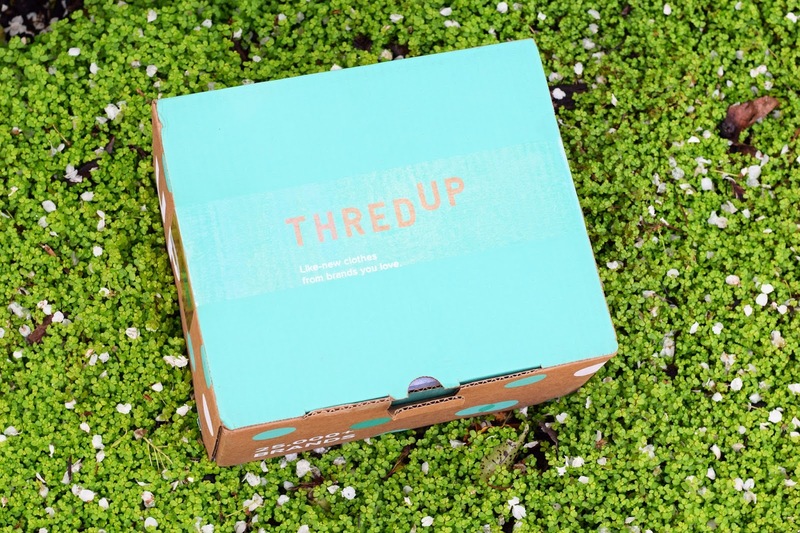 If you are wondering about the condition of the clothing, thredUP triple inspects each item by hand to ensure every item is in high-quality and like-new condition, many of the items on their site are even brand new with tags. I want to chat a bit about my shopping experience. The thredUP experience as a whole doesn't feel like the second-hand shopping experience. There are no stale smelling clothing, no disorganization in the shopping experience, and the items you choose are sent to you with care and style. All items are packaged in a super cute box and tissue paper. Everything is neatly folded, and I inspected the clothing because I didn't know what to expect. All of the pieces I got were in like-new condition; my blazer even had its original tag. From start to finish, the experience was flawless. There is even a return policy for items that don't fit, which seldom happens in second-hand shopping. Something I would also like to note is even with their low prices. They are also tons of your favorite brands like Eloquii, Melissa McCarthy, Carmakoma and so much more. Now of the awesome part, thredUP is offering Garner Style readers a special discount! The first 100 people to use my code GARNERSTYLE40 will get an extra 40% off their first order! (Applies to new customers only. Discount up to $50). Style Notes: Let's dive into what I actually got, sizes, and cost. The black skirt is Dana Buchman and I got in a size 22 at $14. This item has no stretch and retails for $54. 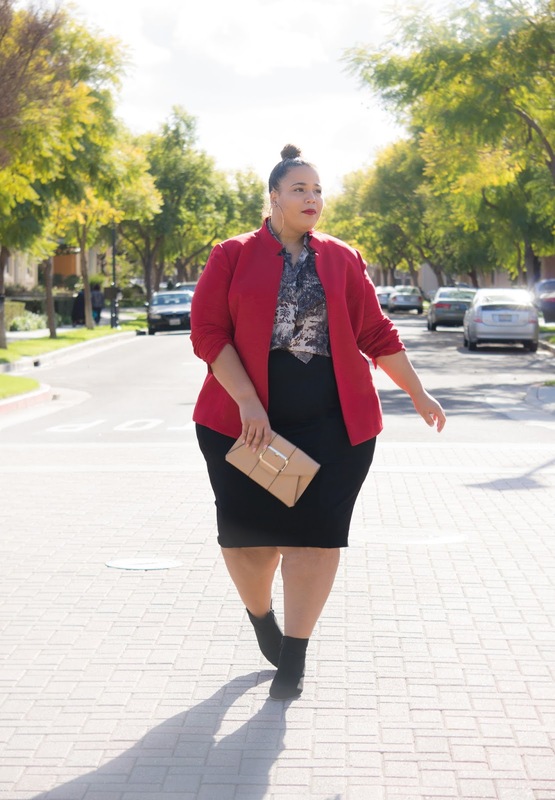 The blazer is Tahari in a size 20 for $86 and retails for $340. The blazer still had it's original tags. The top was from Elvi in a size 20 and priced at $17. I've been so curious to try this brand, because it's an overseas brand and the shipping costs are steep and was amazing that I was able to get a piece at a great price through thredUP. This top would normally retail for $71. Finally, the clutch is from Banana Republic and price at $38 and retails for $98. This post was sponsored by ThredUp, all opinions are my own.